For those looking for a bit more than what is offered at the basic level but not ready to invest in anything higher, our standard multichannel pipettes are a great choice. At Pipette.com, our team explores numerous options in our 2016 guide and in the following article we compare three of the stand-outs – the Sartorius Biohit Proline Plus Multichannel Pipette, Transferpette S Multichannel Pipette, and Nichiryo EX II Multichannel Pipette. With optiload tip loading for simple tip loading and ejection, as well as guaranteed sealing, this pipette possesses a great deal of useful features and a three-year warranty to top it off. Furthermore, the product’s internal components are thermally isolated to ensure that the temperature of your hand does not affect the accuracy of your pipetting during long experiments, which helps retain the accuracy of your results. Along with its three-year warranty, it also features chemical and UV resistance to ensure its longevity. 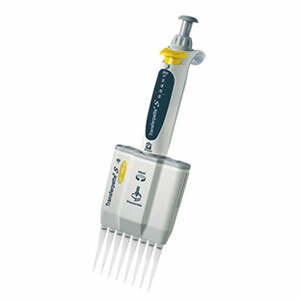 If you’re looking for a comprehensive standard multichannel pipette, this is a great investment. 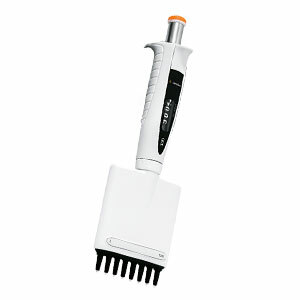 With two different multichannel models, a short pipetting stroke and an ergonomic comfortable design, this pipette is extremely easy to work with. Furthermore, it rotates 360 degrees, allowing users the flexibility to pipette from any angle that they choose. It also comes with a one year warranty. Although it lacks some of the features of the above pipettes, the Nichiryo EX II Multichannel Pipette is a quality, highly-reviewed product. It is designed with easy tip ejection and a revolving handle to aid you in finding the optimal pipetting position for your experiments. Furthermore, it possesses a weight that is 30% less than older Nichiryo brands and features a locking mechanism for its volume settings. It also comes with a one year warranty. For those looking for a level of quality features that can’t be found in the basic multichannel, our selection of standard devices are a solid investment. 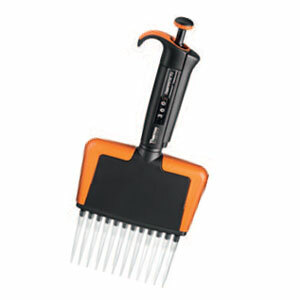 Each of the above products are great for everyday laboratory applications. With features that meet premium standards and a price tag that is comparable to some of our basic models, our editors choose the Sartorius Biohit Proline Plus Multichannel Pipette. 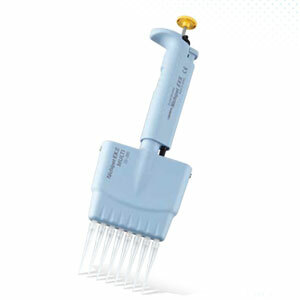 If you’re looking to invest in a reliable multichannel pipette that lies comfortably between basic and premium products, take a look at our selection of standard products at Pipette.com today.